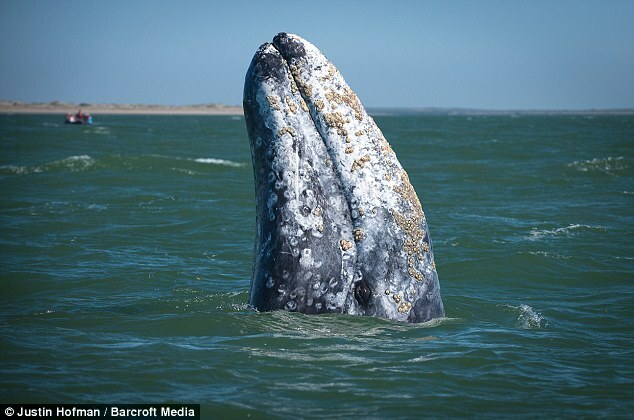 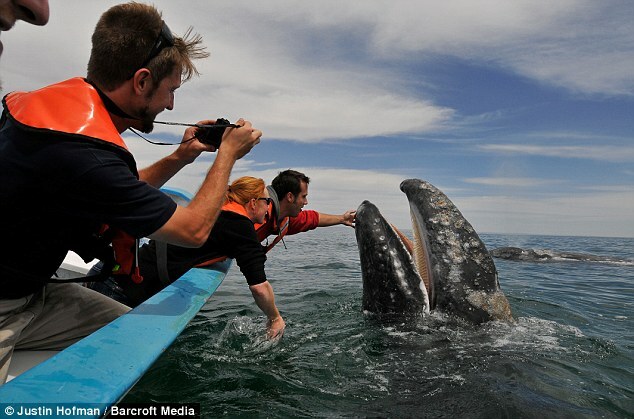 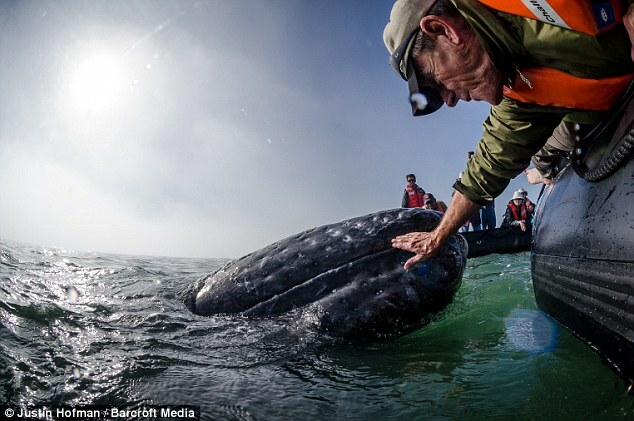 Tourists had a “whale” of a time after a 30 tonne mother gray whale and her calf pop up to say hello! 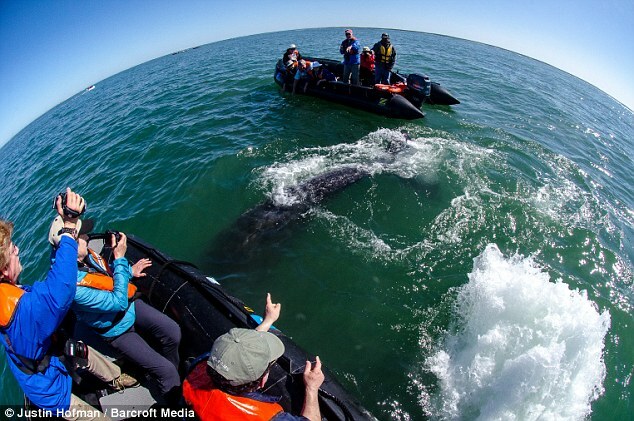 This is the Real Sea World and a heartwarming moment an affectionate 40 ft mother wale and her curious calf popped up to say hello to tourists who showered them with hugs and kisses. 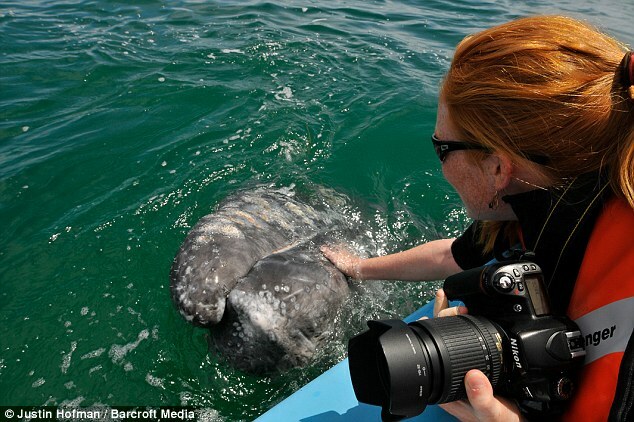 The friendly mother rose to the surface just in time to make these holiday snaps ones to definitely remember. 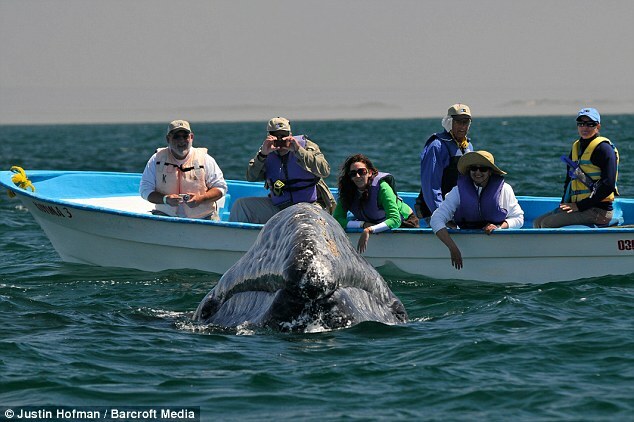 Guests were truely amazed when the friendly gray whales drifted up to the boats. 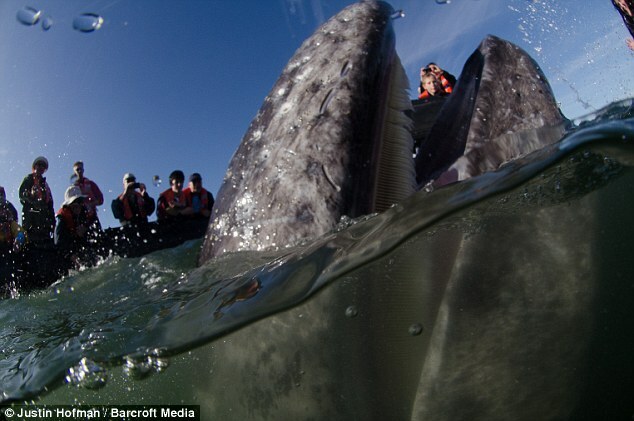 The images were captured by photographer Justin Hofman off the coast of Baja California, Mexico.